Have you ever imagined what it will be like when you die? Will you watch your loved ones say goodbye? How about attending your own funeral? Do you think those left behind will follow your wishes? Will they tell an accurate story of your life? 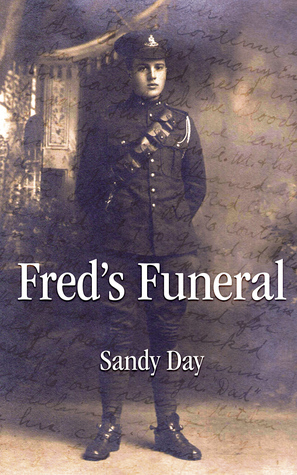 I’m excited to share with you this book review of Fred’s Funeral by Sandy Day! I can honestly say that I have not ever considered whether or not I would attend my own funeral from the other side. Hmmmm…..would you? Would it be awkward to watch your loved ones crying, or not crying? In Fred’s Funeral, Fred does not pass over to the other side. He’s stuck in between mortal life and the afterlife. Therefore, he sees his sister-in-law and nephew come and pick up his meager belongings. He also sees them purchase a second-hand suit, that’s too big for him, as his final earthly attire. What is going on? Why is he not moving on? Unfortunately for Fred, he will endure several more days of this, culminating in the family’s discussion about him after his funeral. His sister-in-law Viola answers most of the questions because she’s the only one that knew him. As the reader you feel bad for Fred because Viola answers so many things incorrectly. He doesn’t understand why her version and his are so different. Did his family lie to him about what was really going on? Is some of it related to the reason behind his family abandoning him? 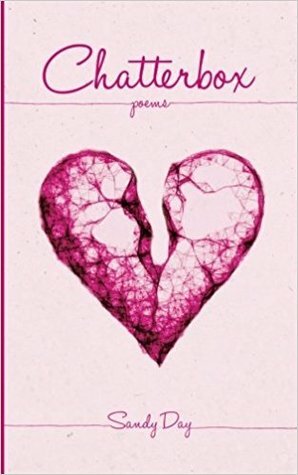 Fred’s Funeral is not a very long book, but it packs a punch! The story easily transitions between past and present, and takes the reader on a journey through Fred Sadler’s life. I liked Sandy’s writing style; she brought the past to life in this book. The characters are well developed and realistic, yet they aren’t too likable. One reason I think they aren’t amiable is because the reader sees them through Fred’s experiences with them. Sadly, those experiences definitely leave a bad taste in your mouth. One big take-away I gained from this book was the importance of caring for and loving each other. It’s important to get to know people, especially those in your family. Even if you’re single, those nieces and nephews need you, and you need them. Seeing Fred die alone without relationships with any of his family members broke my heart. The other thing I took away from this book was how mental health awareness has changed over the years. There has been such a negative stigma attached to mental health throughout history, and it’s time for that to change. Thankfully, we know more now than we did fifty or seventy-five years ago, and we learn more every day. Overall, I enjoyed Fred’s Funeral. It may not win for happiest book, but it has a lot of strong points and acts as a great conversation starter. If you want your correct story to be told, tell it yourself, live it!